Authorities say at least six people were injured in five separate shootings across Washington on October 31, including a juvenile who was shot in the head in Georgetown. Mayor Vincent Gray called the number of shootings troubling. Investigators said the 17-year-old Georgetown victim was shot amid celebrations in the 2800 block of M Street about 11 p.m. Monday. He was hospitalized in critical condition. Not long afterwards, a 24-year-old man was arrested in the area for carrying a pistol without a license. Police would not say if the man was a suspect in the shooting. Police continued to search for clues in the shooting that left a 17-year-old in critical condition on Halloween night. Earlier in the evening, at 8:15 p.m., a 16-year-old was shot on Florida Avenue northeast, near Staples Street. Police said a green SUV pulled alongside the juvenile, and a gunman jumped out and fired on shot at the teen. According to the victim, the gunman wore a ski mask. At 9:04 p.m., police said the next shooting incident happened, at the intersection of Georgia Avenue and Decatur Street, northwest. Police said a 16-year-old male and a 19-year-old female were both struck by bullets in the leg area. D.C. police have no suspects in this incident. Not far away, another person was shot at 10:08 p.m. Police said an 18-year-old female heard gun shots and then began running. She was then struck in the ankle by a bullet. Police think that because of the proximity of the two shootings, there may be a connection. 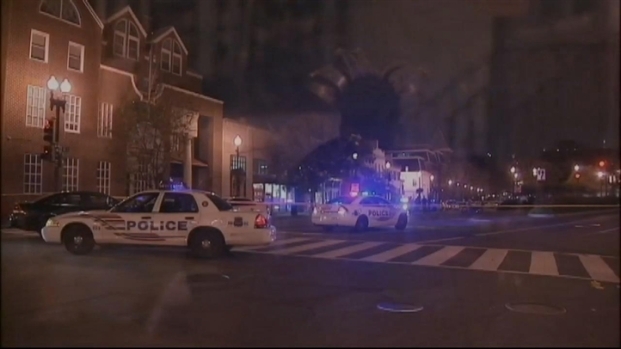 A juvenile was shot in the head on M Street on Halloween night in Georgetown, part of a string of shootings across the District. A final shooting took place at 1:35 a.m., in southeast D.C. A 44-year-old man from Oxon Hill was shot in the leg. 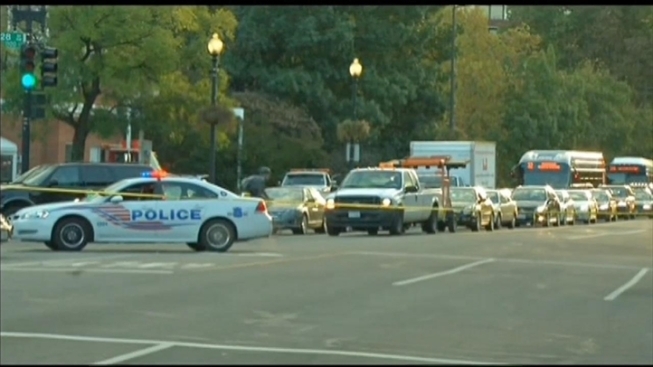 D.C. Police Chief Cathy Lanier said that despite the date, she did not believe the shootings were Halloween-related. She pointed out that none of the victims was in costume. Speaking at a press conference Tuesday, Lanier said that five of the six victims were teenagers. Police believe two of the shootings may be related because of their close locations, Lanier said. The victim and the shooter knew each other in three of the shootings, but Lanier declined to say which ones. 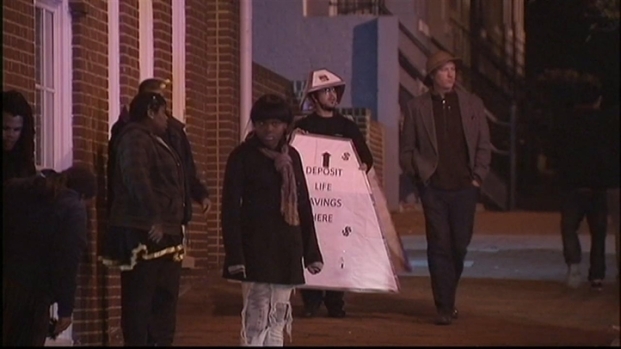 Three separate shootings happened on Halloween night around the District. Lanier said that crime historically rises in the fall months. The police chief said the trend might be because bulkier winter clothes allow criminals to more easily conceal weapons. D.C. police said that overall, crime is slightly down this year compared to last year. There were 510 assaults with a gun at this time last year, compared to 418 this year. 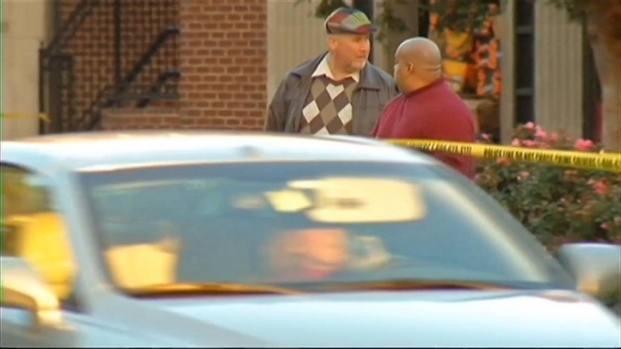 Right now, there are 95 homicides on record for 2011 in the District, compared to 110 on November 1, 2010.